Ensuring that all students receive an appropriate education in regular and inclusive classroom environments is the responsibility of all teachers. However, not all teachers feel fully prepared to teach the increasingly diverse student population in today’s classrooms. Students, classrooms, schools and districts are diverse in multiple ways: intellectually, socially, emotionally, developmentally. There are a great many learning styles within a single classroom, and growing proportions of students each year are designated as having learning differences. Every teacher can expect to find students with learning differences or disabilities within his or her classroom. 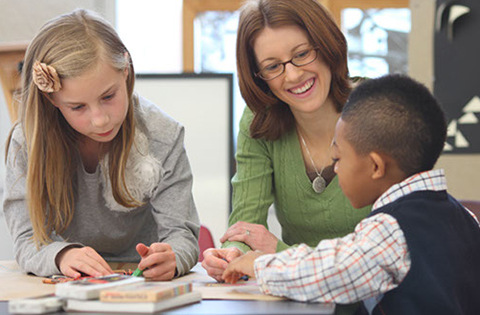 The Graduate Certificate in Inclusion will support teachers to deepen knowledge, hone skills, and build instructional practices to successfully design and implement in an inclusive classroom environment, while embracing classroom diversity. This Certificate is designed for in-service teachers. Courses may also fulfill requirements within the MEd in Educational Program Design. Optimize instruction for students with diverse learning and developmental backgrounds in the inclusive classroom.